Description: Pearl is a sixteen-year-old vampire . . . fond of blood, allergic to sunlight, and mostly evil . . . until the night a sparkly unicorn stabs her through the heart with his horn. Oops. Her family thinks she was attacked by a vampire hunter (because, obviously, unicorns don’t exist), and they’re shocked she survived. They’re even more shocked when Pearl discovers she can now withstand the sun. But they quickly find a way to make use of her new talent. The Vampire King of New England has chosen Pearl’s family to host his feast. If Pearl enrolls in high school, she can make lots of human friends and lure them to the King’s feast—as the entrees. The only problem? Pearl’s starting to feel the twinges of a conscience. How can she serve up her new friends—especially the cute guy who makes her fangs ache—to be slaughtered? Then again, she’s definitely dead if she lets down her family. What’s a sunlight-loving vamp to do? 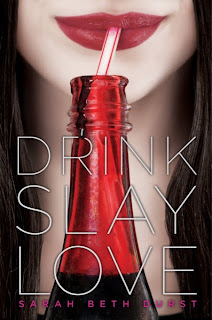 My Thoughts: What a fun take on the vampire story! This one adds unicorns too. 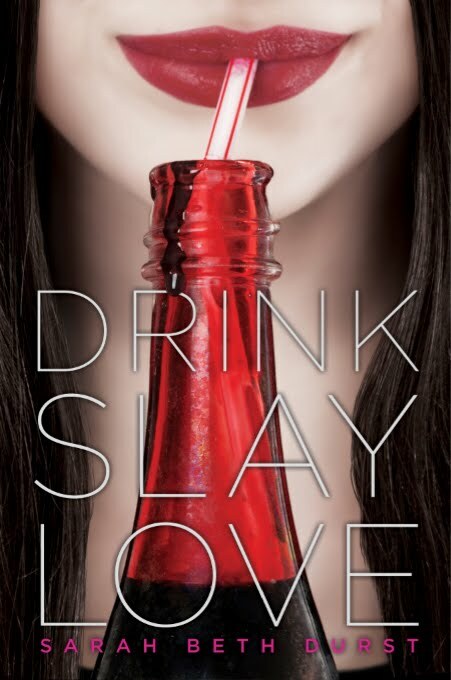 Pearl is your typical teenage vampire - beautiful and completely amoral. She and her boyfriend/rival Jadrien are out taking in the night when she decides she wants a final pre-dawn dessert and decides to snack on the boy who scoops ice cream at the Dairy Hut. Things don't quite go according to plan when she finds herself staked by the horn of a gorgeous, mythical unicorn. Next thing she knows she finds herself back home and unable to explain how she got there. Her family refuses to believe that she was staked by a unicorn. After all, they are mythical - unlike vampires. Everyone at home is excited by the up-coming Fealty Ceremony and the visit of the King of New England. Pearl gets involved in the planning too. But Pearl finds out that she is changing. She discovers that she no longer has to fear daylight. She loves the sunshine and the light through the stained glass windows of the Public Library. The morning she discovers that sunlight doesn't cause her to burst into flame is the same morning that she meets Evan who, by his own description, has a Good Samaritan hero-complex issue and a bit of OCD. He is the one who takes her to the library and who attempts to befriend her much to her bafflement. He is also handsome, kind, and very eager to befriend Pearl. While Evan seems like the typical - but hotter - teenage boy, he has secrets too. Pearl's parents decide to use her new ability to be active in the daylight to solve a problem relating to the up-coming visit of the King. They need to provide a feast and send Pearl to enroll in the local high school to find suitable entrees for the party. At first Pearl is uncomfortable consorting with the animals but gradually she develops a conscience, some empathy, and starts to make friends. Evan is there along with his friend Bethany and they help her adjust. I loved the character of Pearl. She was such a snarky character and she had quite a way with words. As she tries to convince her family that she was staked by a unicorn, she uses phrases like a "My Little Pony refugee" and says it looked like "it had jumped off a poster from the bedroom of an eight-year-old girl." When speaking to the unicorn, she suggests it go off and "poop rainbows." The writing in this one is excellent. It is filled with images that are both apt and amusing. While Pearl has a number of great lines, the other characters get their share too. This was the sort of book that I couldn't put down. I was enthralled by the characters and the story. I recommend it to readers who like their vampire stories with a bit of humor and who like watching a main character grow and change. Pearl does grow and change a lot in this book and she really isn't happy about it. The unicorn stood between the dumpsters. At first she thought she was mistaken. Unicorns didn't exist, which made his presence here unlikely at best. But there was no chance that he was simply a white horse (which, she quickly realized, would have been an odd addition to the parking lot too). Despite the thick shadows by the dumpsters, he sparkled like a horse-shaped disco ball. His traditional spiral horn beamed like a toy light saber. I was sent a copy of this book by the author in exchange for an honest review. You can buy your copy here. Cinder Is An Audiobook Too! Listen and Win! What Book Started Your Year?